You can find me Instagrammin' most days, and sometimes on Twitter. Hi Mackenzie! My name is Tara and I have been so very encouraged by your blog. I really struggle with fear as well. I have a blog over at taracavett.wordpress.com and I would love to for you to check it out. p.s. Your little one is so darn cute. I have a son around the same age! Hey Mackenzie, my name is Silver, and I remember you from when I did my DTS at Lakeside in Fall 2009. 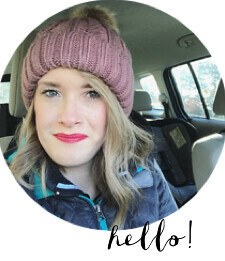 I stumbled upon your blog via 5ohwifey, and I was so happy to find it! Looking forward to reading your mommy adventures. good gracious that is the most adorable little boy ever!! found you through the srt link-up. you are great! Hey Mackenzie! I tried to email you with a question, but it said the domain wasn't found and it didn't send.....Know anything about that?